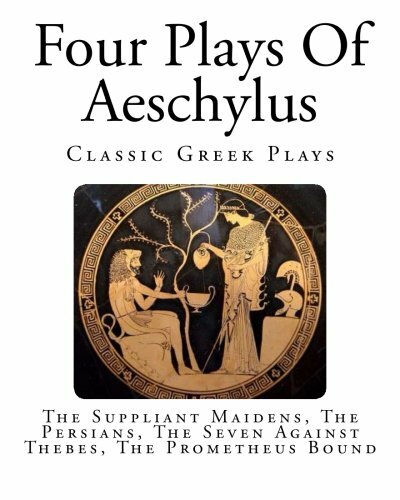 Four Plays Of Aeschylus The Suppliant Maidens, The Persians, The Seven Against Thebes, The Prometheus Bound By Aeschylus Aeschylus was the first of the three ancient Greek tragedians whose plays can still be read or performed, the others being Sophocles and Euripides. He is often described as the father of tragedy: Our knowledge of the genre begins with his work and our understanding of earlier tragedies is largely based on inferences from his surviving plays. According to Aristotle, he expanded the number of characters in plays to allow for conflict amongst them, whereas previously characters had interacted only with the chorus. Only seven of his estimated seventy to ninety plays have survived into modern times, and there is a longstanding debate about his authorship of one of these plays, Prometheus Bound. Fragments of some other plays have survived in quotes and more continue to be discovered on Egyptian papyrus, often giving us surprising insights into his work. He was probably the first dramatist to present plays as a trilogy and his Oresteia is the only ancient example of the form to have survived.